The WilloBeast™ Preyfish Spinnerbait features the world's largest willow blade, the #11 WilloBeast, double #7 Colorados, action skirt and tail. 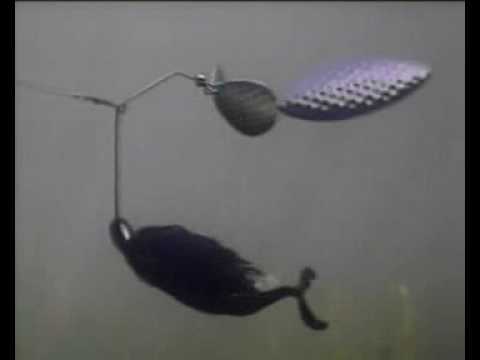 Unlike other Spinnerbaits, the WilloBeast blades produces unique combinations of flash and vibration. This super triggering bait will call up fish from the deep, off edges and out of weeds and timber. The WilloBeast throws well into the wind, can be slow rolled deep and yet has enough streamlined features to be fished in heavy weed cover, through timber, over rocks and everything in-between. The Esox Cobra WilloBeast, PreyFish™ Spinnerbait's feature an EXCITING NEW TECHNOLOGY, PreyFish Imaging, the industry’s most natural, life-like, bait fish Images to date. PreyFish Muskie Blades are the result of a new high definition technology that displays live, bait fish images beneath the surface of a Musky Blade, ensuring that the image is protected from scratches and chips. All Prey Fish patterns reflect UV Ultra-Violet rays. Depending on water clarity, fish can see UV blades up to 7 times further than ordinary blades. The Esox Cobra WilloBeast, PreyFish™ is available in a 1-3/4 oz head and (8) life-like bait fish images, Black Sucker, Bluegill, Cisco, Crappie, Silver Shiner, Shad/Whitefish, Yellow Perch & Walleye.